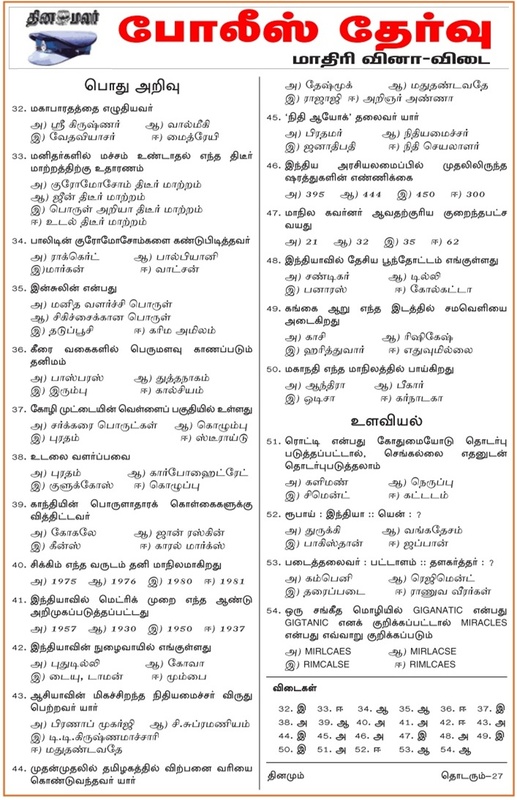 TN Police Exam Model Questions and Answers Tamil - Dated February 28th, 2017 (Dinamalar). Daily Questions and Answers. Tamil Nadu Police Recruitment Model Questions and Answers 2017.